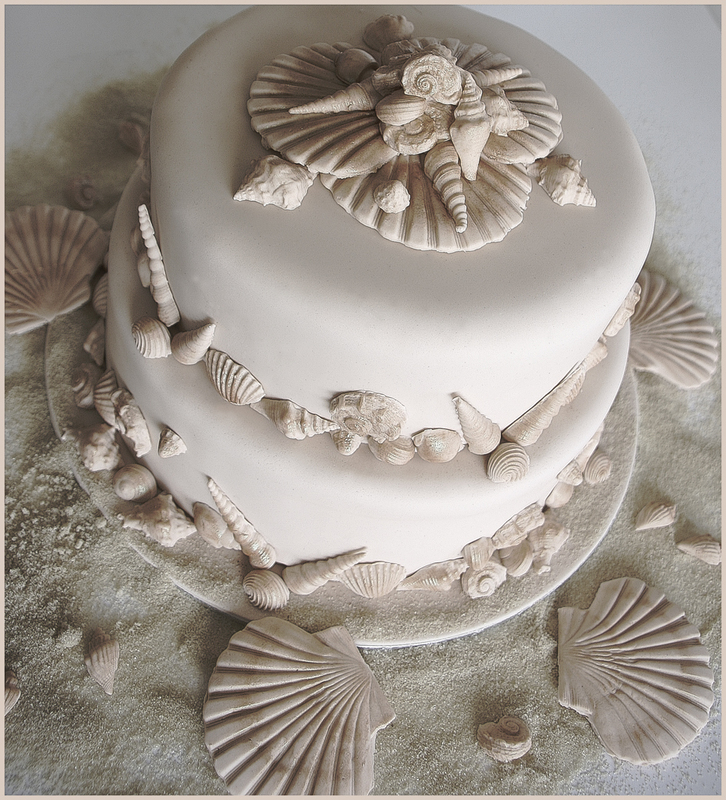 This fabulous Beach Wedding Cake is covered in ivory sugarpaste and decorated with matching handmade and painted sugar-paste shells. 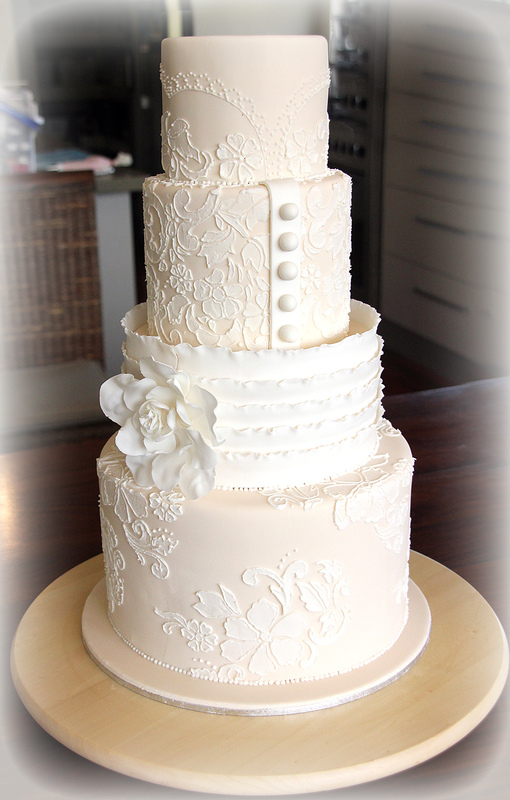 The bottom tier is a 10″ dark chocolate mud cake filled with dark chocolate ganache and the top tier is an 8″ white chocolate mud cake filled with white chocolate ganache. I coloured all my sugarpaste at once using Wilton’s gel paste in Ivory. 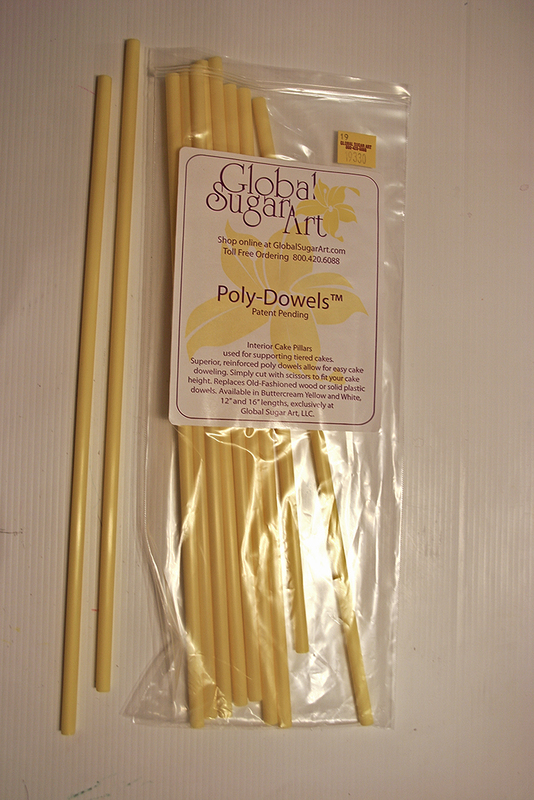 I used Poly-Dowels from GlobalSugarArt.com to support my cake this time and found them easy to use. 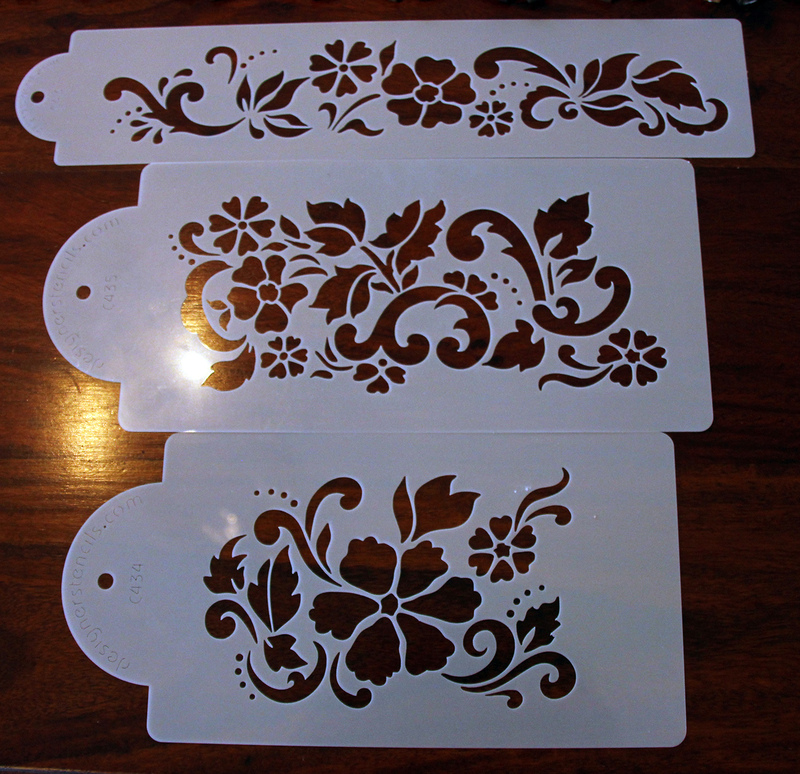 They are easy to cut with scissors and more hygienic than the wooden ones, I think. Using 500g of the ivory sugarpaste, I decided to make a 50/50 mix of sugarpaste/gumpaste (read ‘Successful Molding’ below for other suggestions for mediums to use with molds). I used the recipe below for gumpaste but only used half the quantities to achieve a 50/50 mix. Clam Shell Press 2 pc. I made 10 of each shell making a total of 130 shells. Use a little Crisco (here in Australia I use Copha which is a solid white vegetable oil) on your work surface and knead up your sugarpaste so its nice and soft. Make a well in the mix and pour in the egg white, knead until mixed through, it may feel a little sticky, add more Crisco to the surface if you need to or some icing sugar to stop it sticking to your hands. 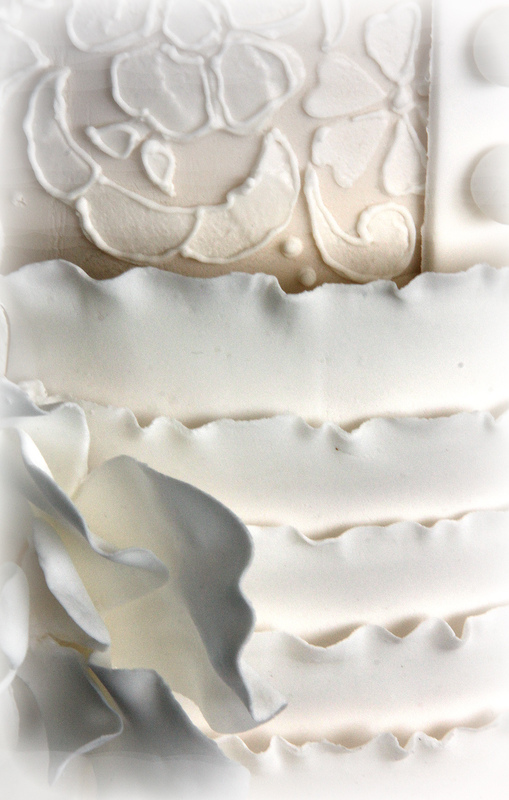 It helps to use a small dot of shortening (Crisco) on our fingertips while pushing the sugarpaste or gumpaste into the mold. 1. 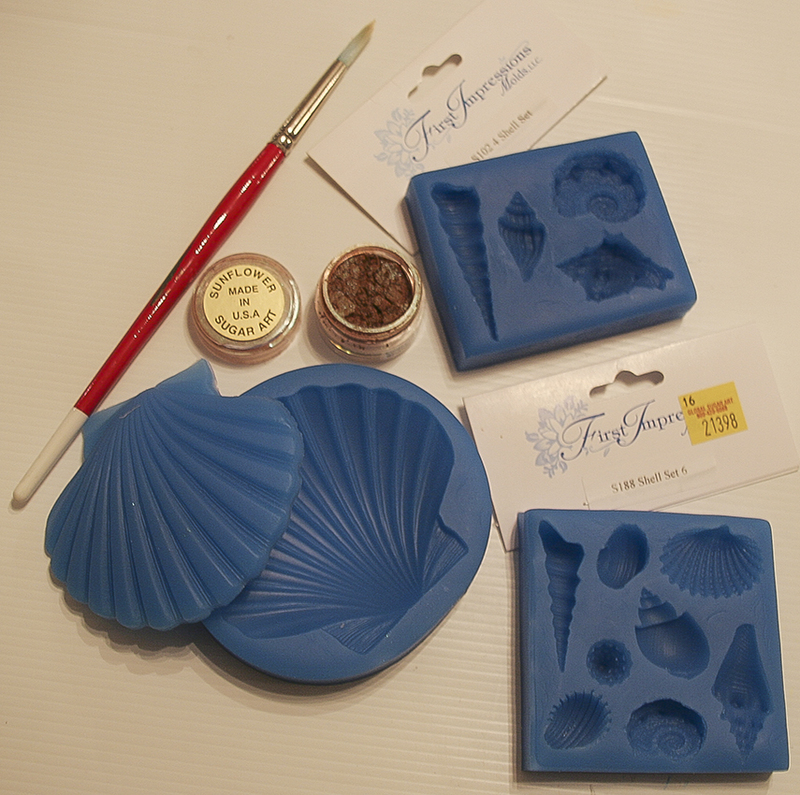 For small molds that you want to be able to cut through or eat, use only sugarpaste. 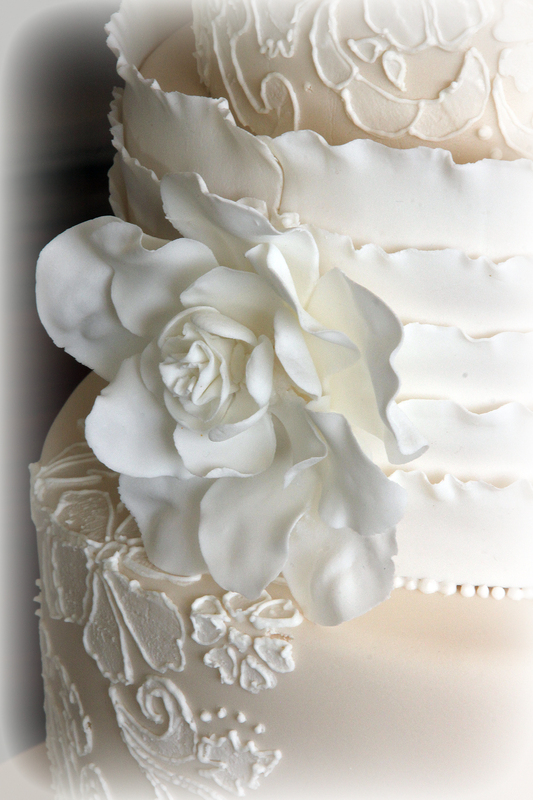 For each pound of sugarpaste, knead in about one cup of confectionery sugar or enough so that the fondant no longer sticks to your hands or the surface you are kneading on. This will make molding easier and you can handle the finished product without it stretching out of shape. 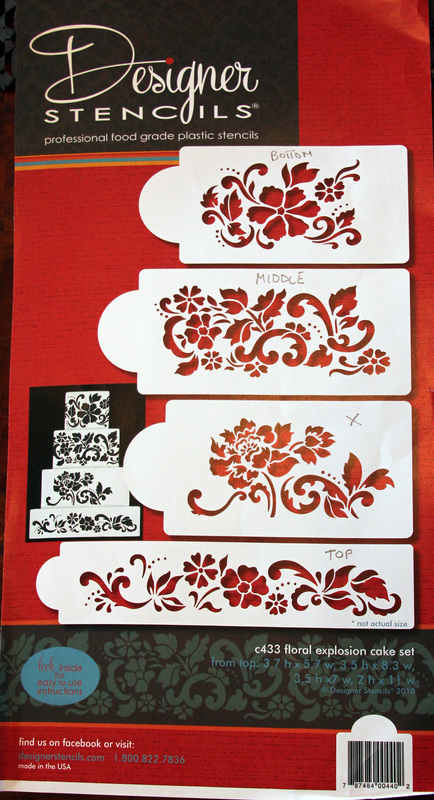 This also works well on side designs, drapes and borders that you are molding with a silicone mold. Adding a flavoring to the fondant (like orange, lemon, almond, peppermint, etc.) can be a nice finishing touch. Especially since it is usually the children that try to eat the decorations! 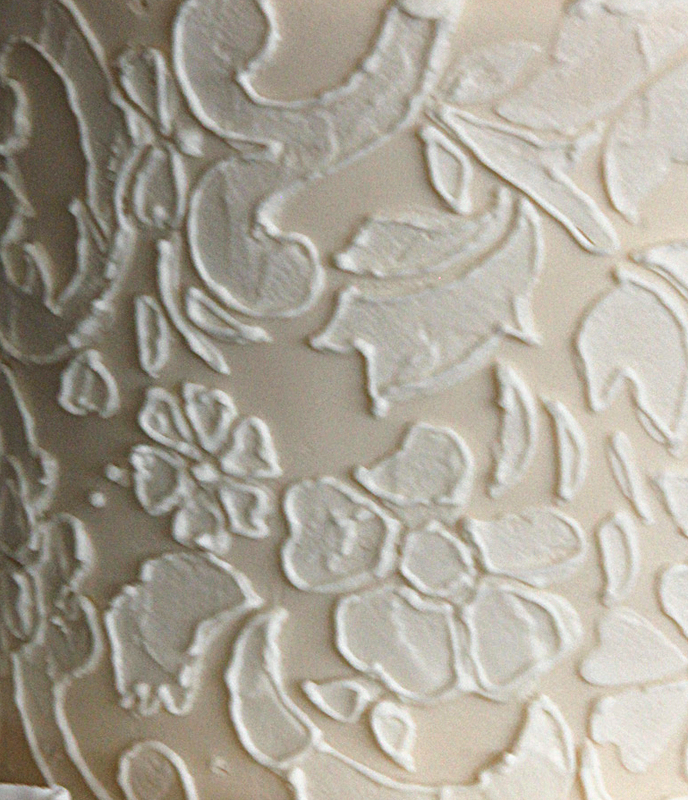 Freezing the molded fondant for 5-15 minutes before removing helps keep the detail. 2. 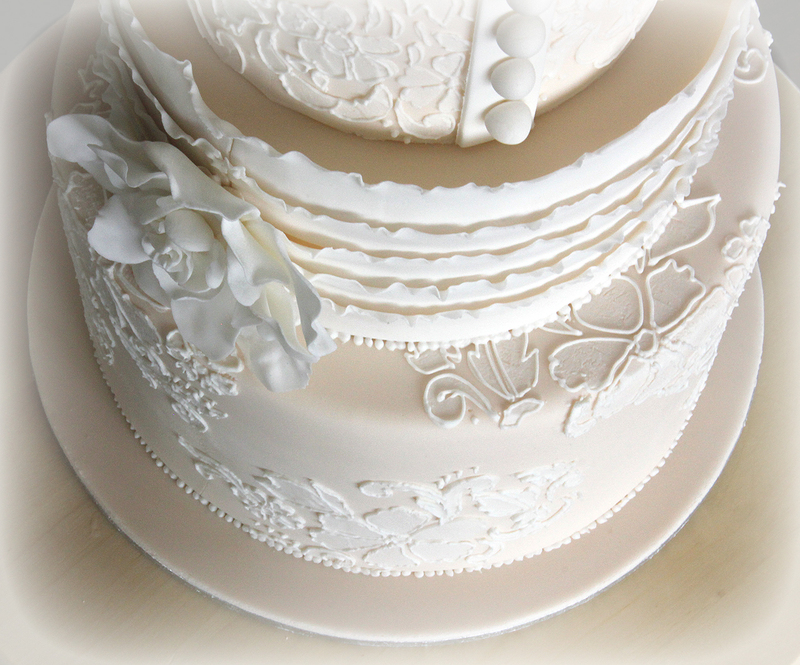 For larger figurines, flowers and borders like pearls and ropes, I recommend a mixture of 50% gumpaste and 50% fondant kneaded together. This makes a mold that can still be cut through with a knife when you serve the cake but you may not want to eat the pieces. 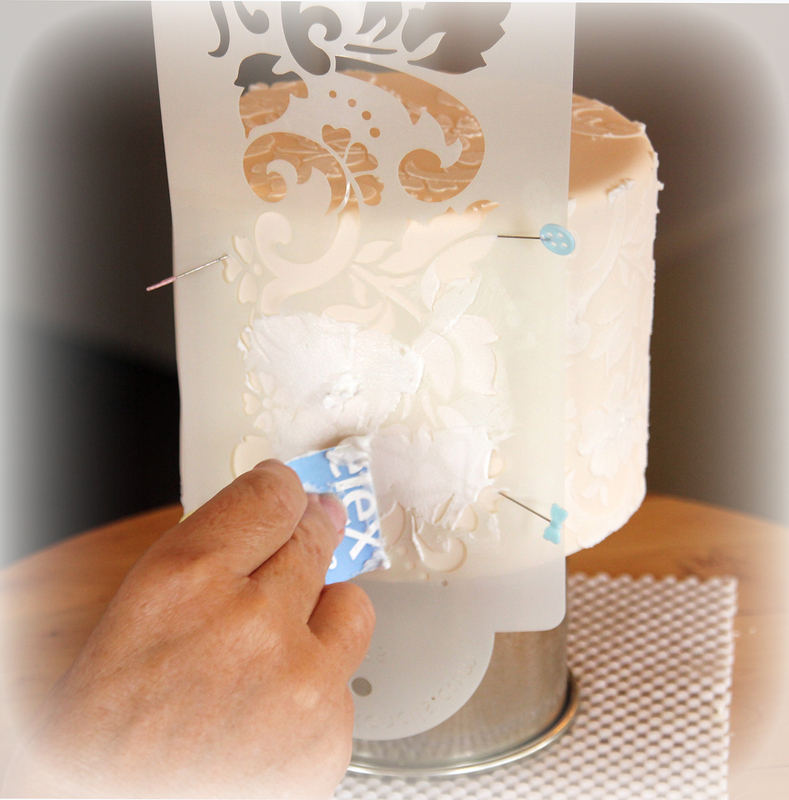 Freezing the molded fondant for 5 -15 minutes before removing from the mold helps with removal and keeps the detail. 3. 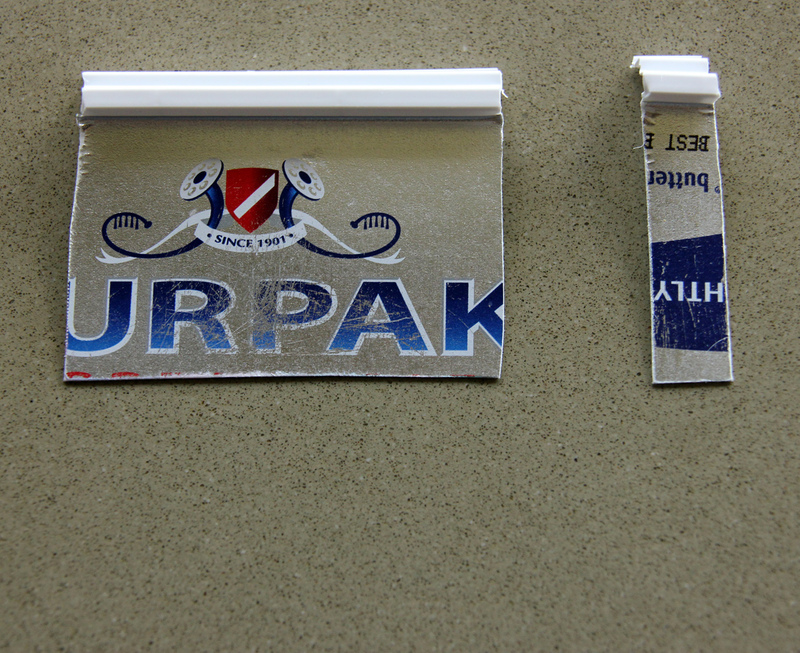 For large molds or molds that have undercuts, I use all gumpaste. Freeze 10 minutes before removing from mold.4. For very large or detailed molds, I add 1-2 teaspoons of Tylose to one pound of gumpaste and knead it well. Allow it to rest overnight in the refrigerator in a sealed bag. The next day, break off a piece and knead it well before using it to make a mold. It will be very firm. Freeze 10-15 minutes before removing from the mold. 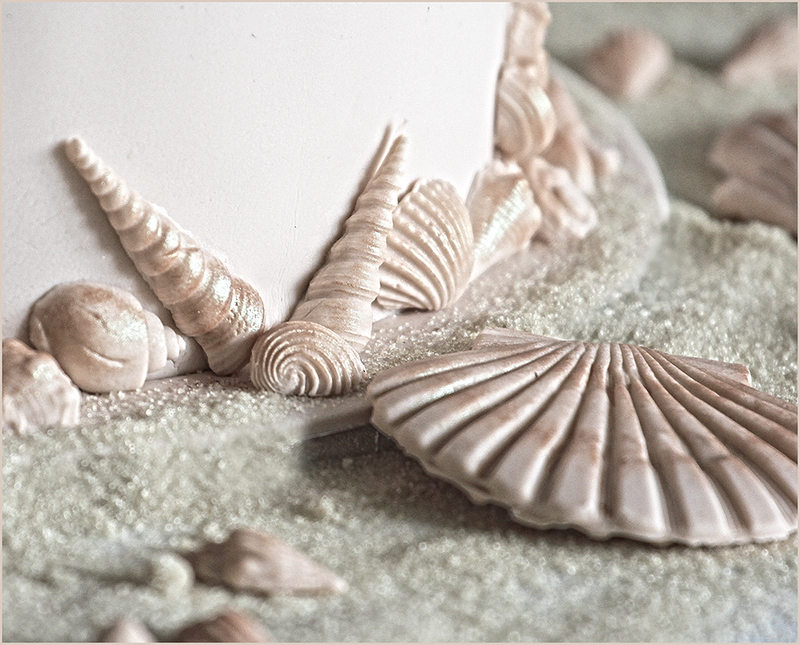 These shells were molded using 50/50 gumpaste/sugarpaste with no added confectioners sugar. I placed the filled mold in the freezer for 15 minutes then removed the shells from the mold and lightly dusted with non toxic Luster Dust in Spanish Moss (bronze metallic look) by Sunflower Sugar Art from GlobalSugarArt.com. I used a paintbrush to apply the dust. This YouTube clip will give you a good idea how to use silicon molds even though it shows a baby mold and not a shell mold. morning you will have a perfectly clear and ready to use glue. 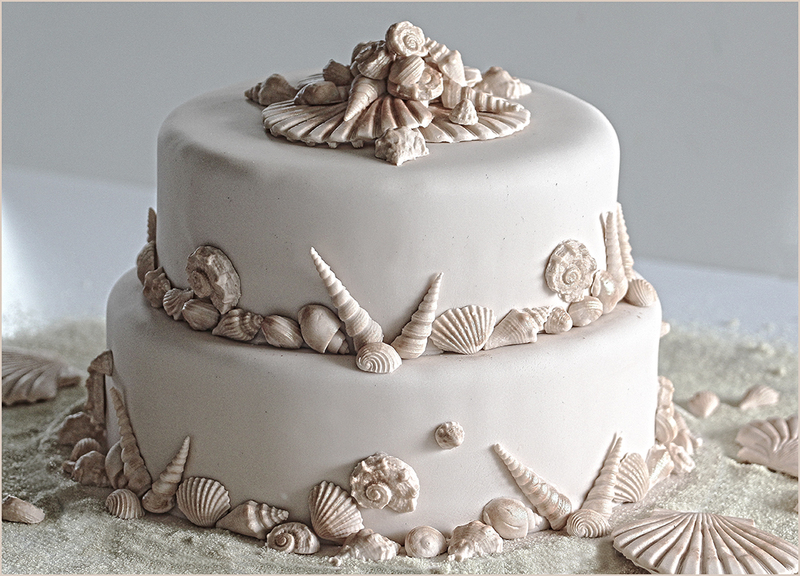 I left 16 assorted shells to place around the cake and sprinkled some raw caster sugar to look like sand. I hope you like my cake and try making one yourself. Please share your efforts with me as I would love to see what you come up with.